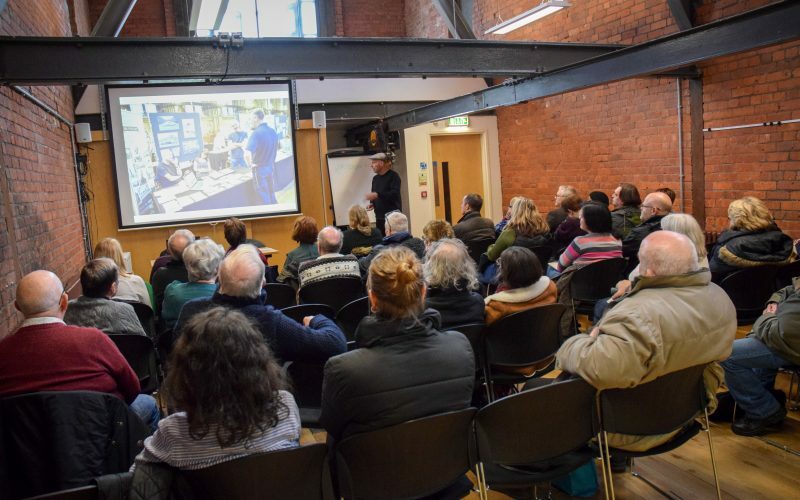 There was a great turnout for the presentation talk at our exhibition at People’s History Museum on 13th January 2018. 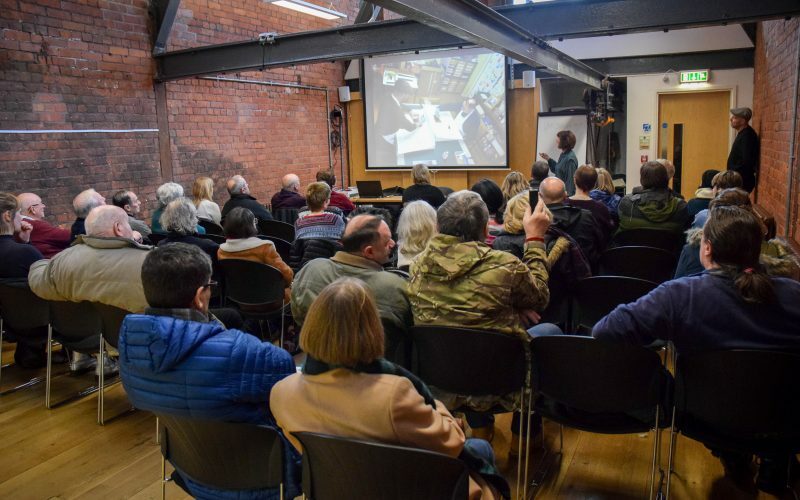 Visitors came from as far afield as London and Oxford to hear project co-ordinators Lawrence Cassidy and Gail Skelly discuss finding, conserving and digitising the photographic archive for future generations. 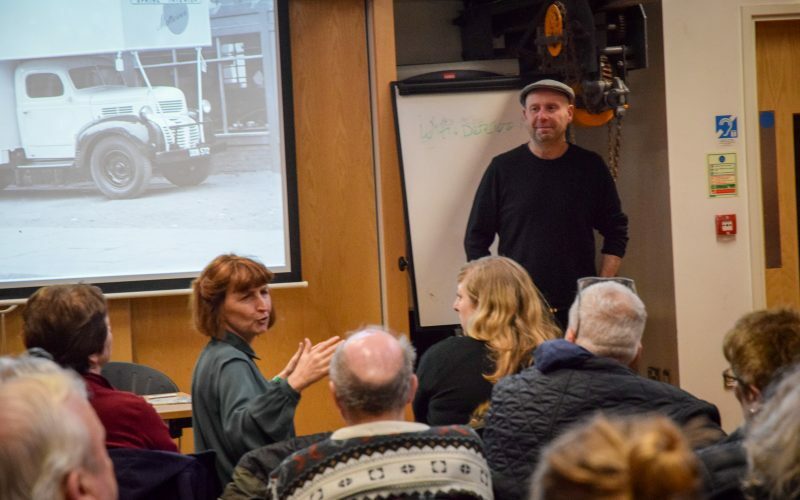 The process of cleaning and restoring the collection of thousands of negatives, that had not been seen for about sixty years, was explained and the methods used to showcase the images was discussed. 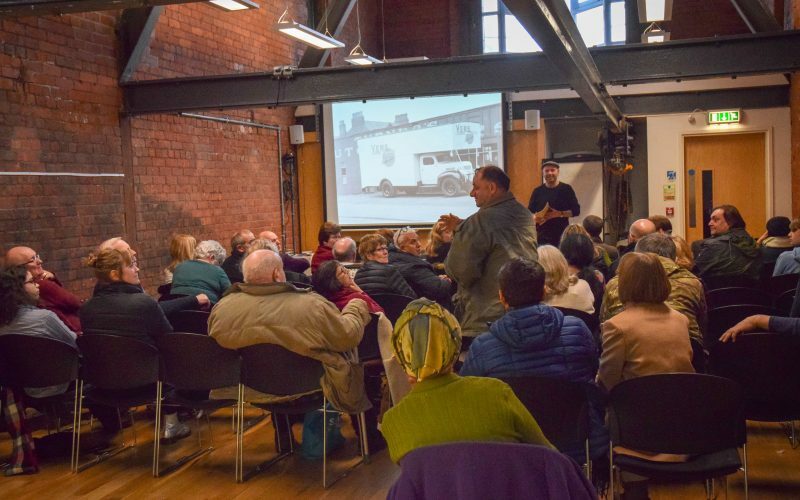 The talk was followed with a question and answer session, where visitors had a chance to find out more from the project team and to share some of their own memories of Salford and Cheetham Hill. They were also able to view the exhibition itself and discuss the images with the team. Posted in Events, News by Martin Bush on January 15th, 2018.